EXCLUSIVE AT NET-A-PORTER. The tag in every Retrofête design reads 'welcome to the party' - one look at this 'Gabrielle' mini dress and no explanation for the statement is needed. 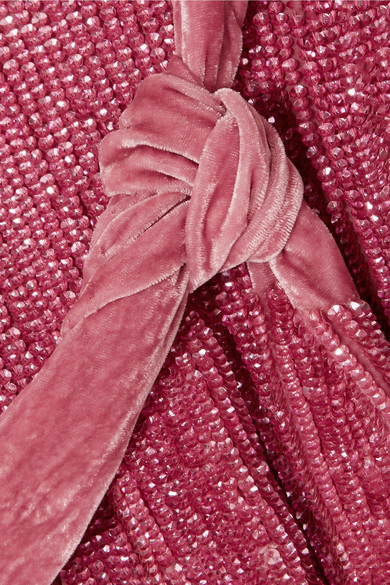 This style is cut from pink chiffon saturated with hundreds of tonal sequins, and has a velvet self-tie belt to secure the wrap silhouette. Olivia Culpo wore hers with metallic accessories. Shown here with: Jimmy Choo Clutch, Miu Miu Sandals, Jennifer Fisher Earrings.